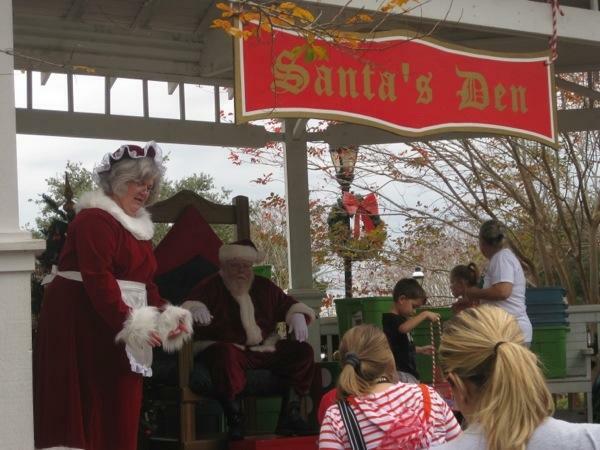 St. Marys was a hoppin place on Saturday during the annual Christmas in the Park event. This event is fully funded by a very generous, local couple and carried out by volunteers. Brian and I joined Scott and Kim ashore to enjoy the holiday festivities. 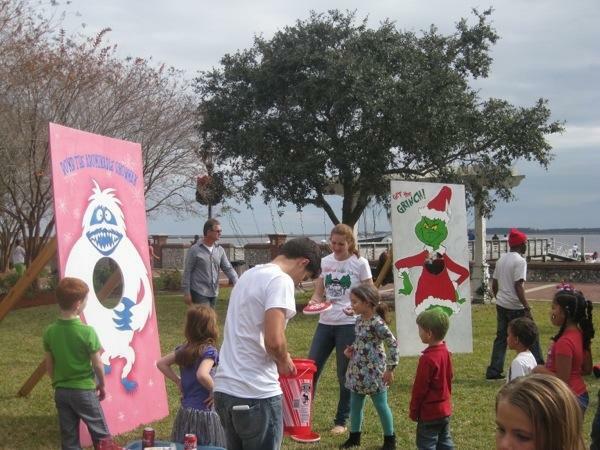 We paused to watch kids trying some very witty games…Bomb the Abominable Snowman and Get the Grinch where frisbees and footballs flew threw the air, hopefully taking out these holiday grumps. 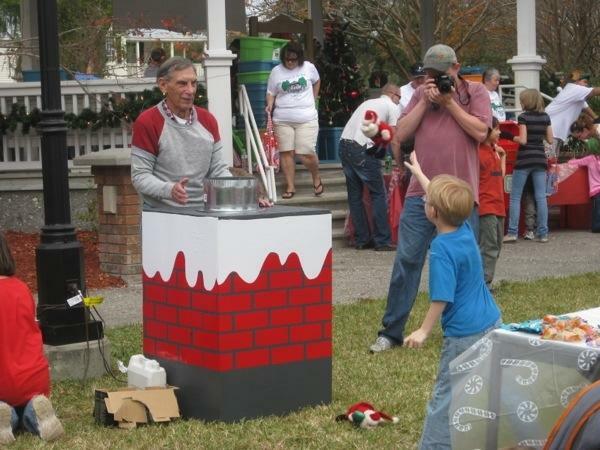 My favorite was this game, toss santa into the chimney. Wreaths were tossed in attempt to Ring Rudolph. Other activities included face painting, Whoville style hair updos (complete with sparkly pipe cleaners), and temporary tattoos. There was a DJ cranking out holiday jams between the live performances of the local dance ensemble and choir singers. 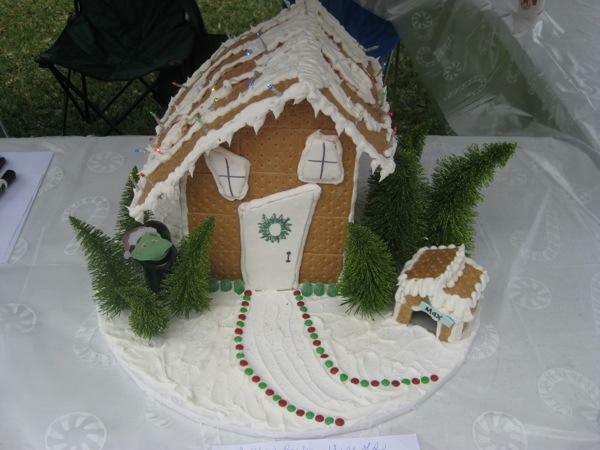 We admired the 13-year old talent behind this gingerbread house; the only entry in the contest and it was truly a winner! 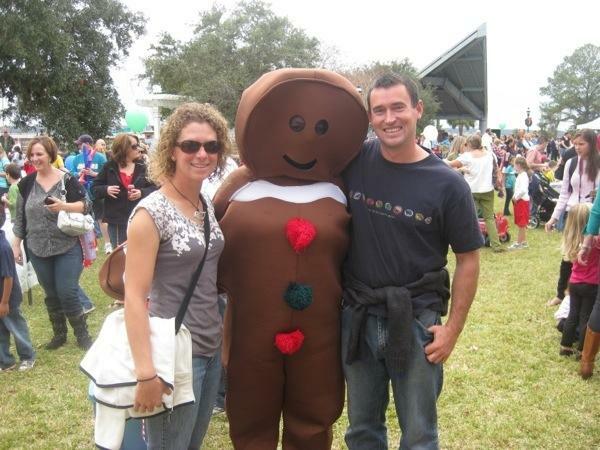 Special guests were walking the grounds; the Grinch, Buddy the Elf, and Gingerbread Man. Of course everyone wanted to visit Santa Claus. He and the Mrs. came out for the day to hear what everyones’ Christmas lists entailed. There was a line of hundreds of children that reached all the way downtown! We decided to mail in our lists this year. Later that evening the movie Muppet Christmas Carol was shown in the park and we strolled through once again enjoying hot chocolate and popcorn. What a festive day and a great start to December! The best part…no snow! 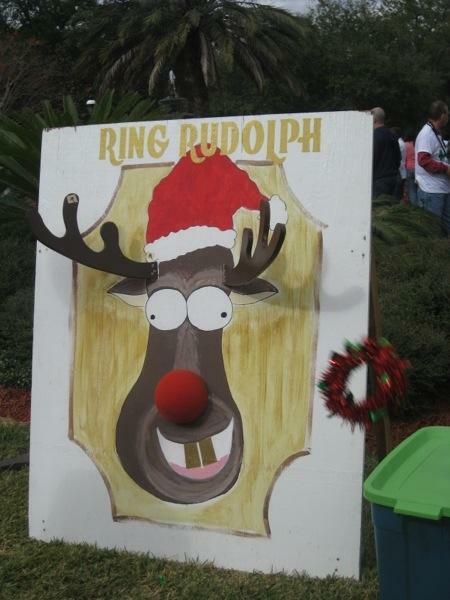 This entry was posted in Uncategorized and tagged christmas, rudolph, santa, st marys by stephanie. Bookmark the permalink. you mean “the worst part, no snow” right? Finally got hold of your website. I spent some time at Cumberland when it first became a National Park in the ’70. Fernadina Beach was also nice. Hope your pump problems get resolved. I am also glad you are enjoying good beer. The Laser fleet is not the same without you, and as you know, a cold beer always awaits you after every Laser Race. If you go to the Bahamas make sure you check out Great Inagua (spelling) Island. It is owned by Morton Salt and is off the radar of most cruisers, but well worth it, with a large flamingo population and no tourists. Anyway, good luck and be careful.